Atwater Village — Local horseback riders, mounted police and local officials gathered recently at the corner of Brunswick Avenue and Verdant Street to unveil a sign proclaiming the area the “Atwater Village Equestrian District.” But at first glance, the blue-and-white sign seems out of place. It’s mounted on a pole above a Metro bus stop. Homes and apartments line the surrounding streets. It not until you walk a short distance in the direction of the L.A. River that you catch a whiff of horse manure and hay bales. Corrals, stables and horse trailers come into view next to homes and apartments. 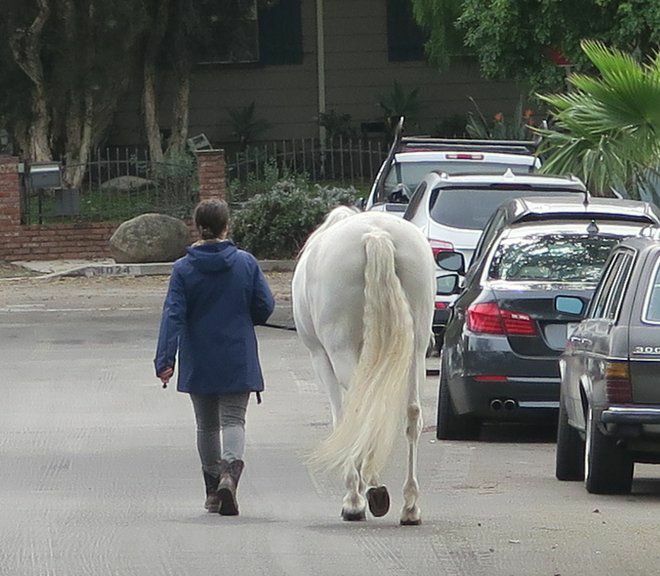 You can even spot horses being led down quiet residential streets. 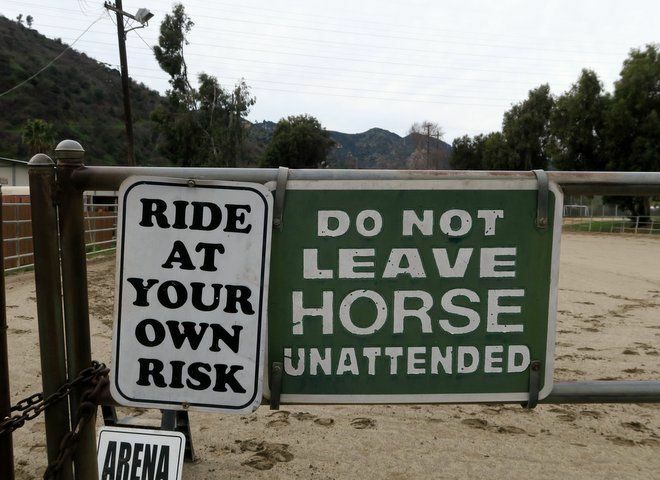 The new signage is intended to raise the profile of Atwater Village’s small horse community and the zoning that allows for stables and other equestrian uses within the city limits. A corner of North Atwater Village is home to the Paddock Riding Club, the Saddle & Sirloin Club, Lincourt Stables, the San Rafael Hunt Club, the LAPD Mounted Unit, Saddle and Sirloin, Taking the Reins, The Children’s Ranch and other equestrian businesses. A new equestrian and pedestrian span across the L.A. River will make it easier for horseback riders to go back and forth between the stables of Atwater Village and the horse trails of Griffith Park. The equestrian district signage was installed as horse lovers have joined opponents of increased development within the district. Equestrians saw the loss of two large stable and horse properties during the 1960s and 1970 to large apartment development and don’t want a repeat. “The official Equestrian K-Zone Designation in the neighborhood has been in place for several years, but without the signs identifying the area it remains hidden to many,” said a statement issued by office of Councilman Mitch O’Farrell, who was on hand during the sign’s unveiling.